How is the leadership at your organization? If your leaders were to retire today, do you have enough employees who are ready to take over their positions? 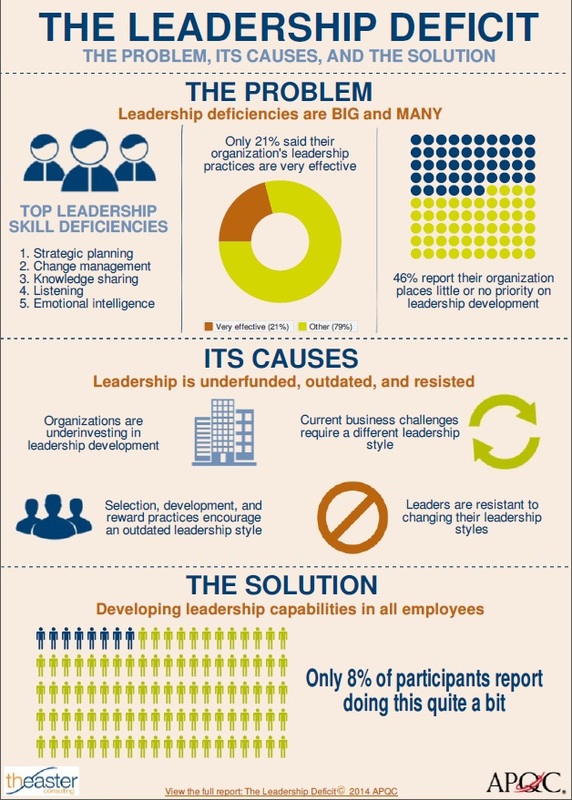 Today, many organizations are experiencing a leadership skills gap, defined as employees lacking the leadership skills that organizations need to succeed in today's business world. What are some of the causes of this problem and what can be done to help solve this issue? Check out the infographic below or download a copy of the infographic.